Discover why Coral Lodge 15.41 receives glowing reviews and traveler comments on Trip advisor when you spend your Mozambique holiday there. Located at the tip of a peninsula close to Ilha de Mozambique, this stunning lodge is placed on a sublime location where the white pristine sands melt into the blue sea. 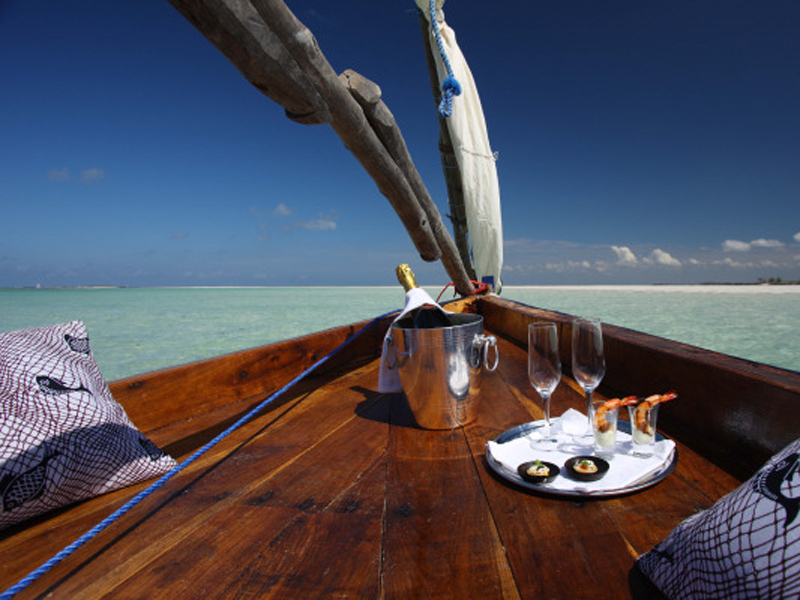 The perfect base from which to explore the culture and history of Ilha de Mozambique, Coral Lodge, will delight the most discerning of travelers with its personalised service, exceptional facilities and exciting activities. This Mozambique accommodation was awarded a Certificate of Excellence by Tripadvisor and judging from the lodge’s candid photos, it is clear why it was bestowed such a prestigious accolade. There are 10 elegantly furnished villas, some facing the lagoon and others overlooking the sea. Each has an en-suite bathroom with a free-standing stone bath, rain shower as well as complimentary toiletries. For heightened comfort, the villas are appointed with mini bars, tea / coffee stations and large ‘Evening Breeze’ canopy beds. The villas are connected to the main lodge facilities by a wooden pathway. Guests can some delectable meals in the dining area of wind down in the lounge. There is a swimming pool with a deck where guests can enjoy some refreshing drinks while catching the sun. Guests can also retreat to the spa for an indulgent session of massages and treatments. We like this top Mozambique beach property because it is both family-friendly and romantic, making it idyllic for family holidays and honeymoons. “We were given the royalty treatment by Sarah, Nelson and the rest of the staff at Coral Lodge 15.41. It was exactly what we had hoped for and needed. The setting was idyllic, the cuisine fantastic. We had the most amazing time and the kids are still raving about their experiences at the lodge.” YummiYanni from Durban, South Africa wrote. Book your stay at this striking lodge during your holiday in the Nampula Province today. Contact our consultants to assist you with the travel arrangements.